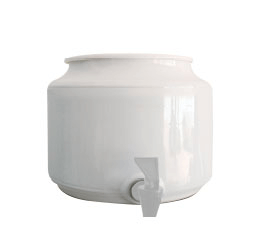 The ceramic well is the best selling water dispenser option for our residential customers. It's easy to use, clean and sits neatly on your benchtop. You will need an additional 200mm height to insert the bottle freely.